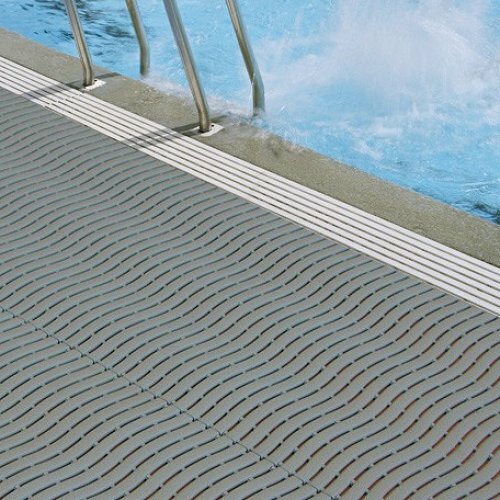 Ultima is an ideal mat for wet areas. 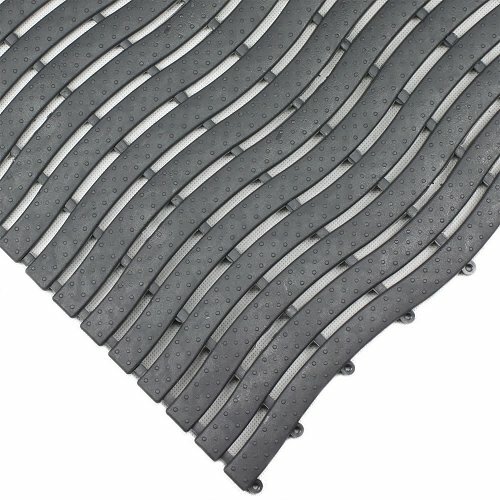 With its 580mm width this mat can be connect width lengths ways making this mat as long and wide as you need. 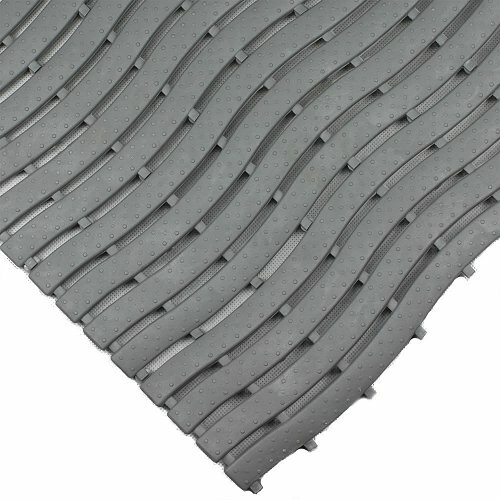 Great for inside and outside use this mat can be easily installed and as it is lightweight it can also be rolled and packed away with minimum fuss. 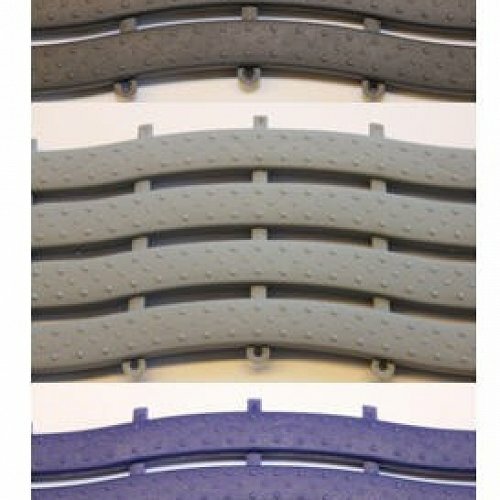 The curved design drains water easily and provides a safe and dry surface and is comfortable for barefoot traffic. 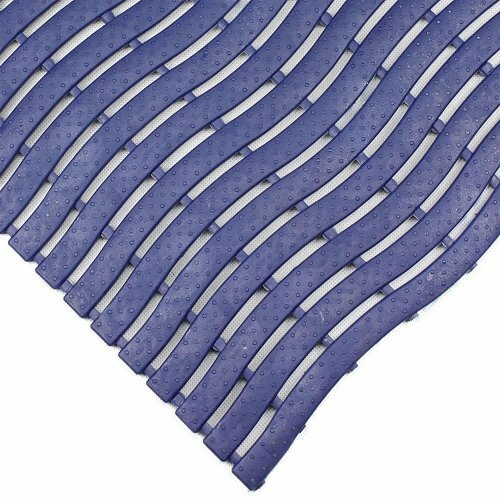 This mat comes in Dark Blue, Graphite and Light Grey and can also be mixed and matched to make fun designs. Regular cleaning of this mat will ensure its effective performance for years.